Fjallraven opened at 200 Greenwich Ave. on Saturday. The Swedish firm sells outdoors gear and apparel. Making its name first and foremost for hiking backpacks, and later the schoolyard variety, the Greenwich debut of Fjallraven had plenty of people trekking into the retailer’s new outlet. Fjallraven opened its first Connecticut store on Saturday, giving it about two dozen U.S. locations, including its flagship stores in New York City and Boulder, Colo. Founded in 1960 in Sweden by Ake Nordin, who invented the frame backpack, and taking its name from the Swedish word for arctic fox, Fjallraven sells both trekking apparel and gear under its Switzerland-based parent company Fenix Outdoor Group. Fjallraven offers a lifetime guarantee on the products it sells, including items from fellow Fenix subsidiaries, including Brunton compasses, Hanwag boots and Primus camp stoves. The Greenwich store also stocks a selection of gear from other manufacturers, such as camp knives from Helle, James, and Mora; Gransfors Bruk hatchets; and sunglasses from Shwood Eyewear. Fjallraven lines include also the famed Kanken backpack for school children and the Greenwich store features a prominently lit display. As an example, Fjallraven developed its own “eco-shell” waterproof outer layer for trekking apparel that does not use PFCs, which are harmful to the environment (Gore Fabrics committed last year to eliminating PFCs in its own Gore Tex material, a transition it predicted will take it through 2023 to complete for all apparel it sells). In Greenwich, Fjallraven also offers alterations for all trousers, jackets and backpacks it sells, as well as waxing to make apparel and gear water resistant. 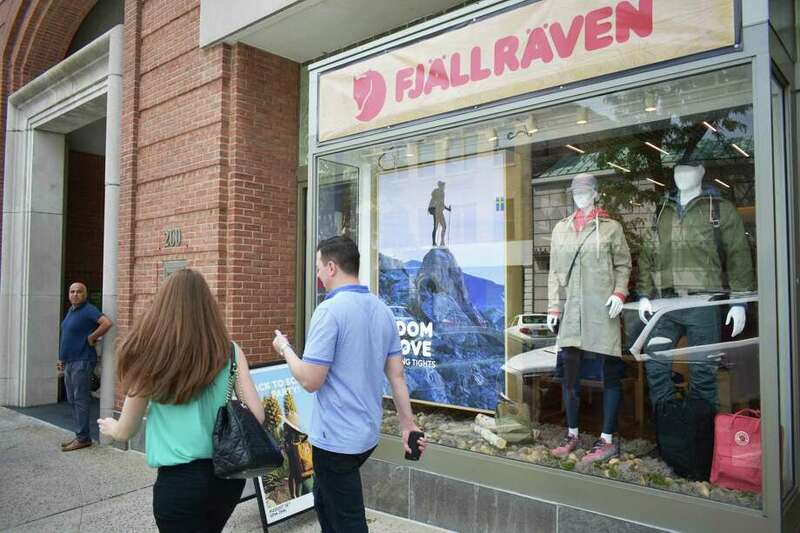 If the summer hiking season is nearing a close, Carlson said Fjallraven is not prone to seasonal fluctuations in sales. But the company saw a burst of business in its first few days on Greenwich Avenue. Carlson estimated more than 150 people came through over the weekend, with backpacks and jackets among the big sellers.